Recently I attended a business conference in Maribor, Slovenia. It was only a one day event, so unfortunately I didn't have much time to take photos. Nevertheless I decided to take a stroll through the old city center on my way back to the main train station. These photos were taken on the main city square. It seems like the City Hall with its clock tower is carefully overlooking the people gathering below. 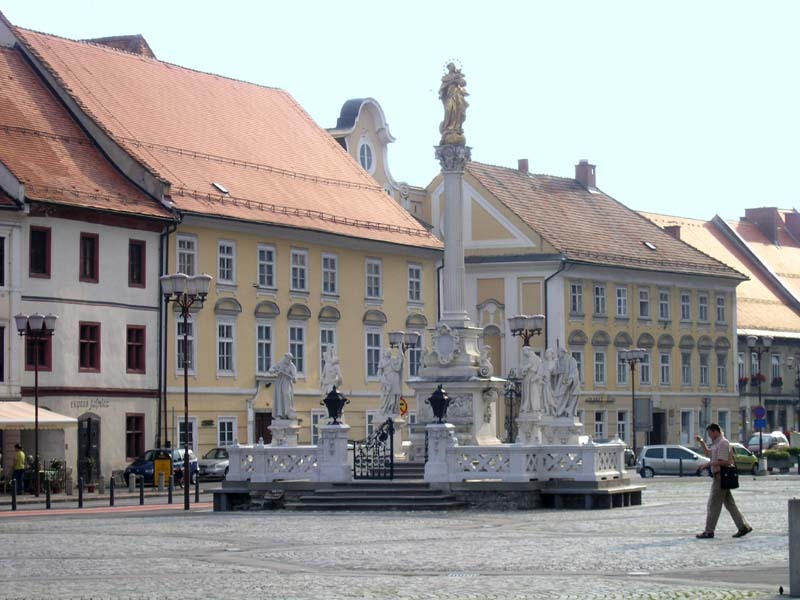 In the center of the square there is a plague monument. 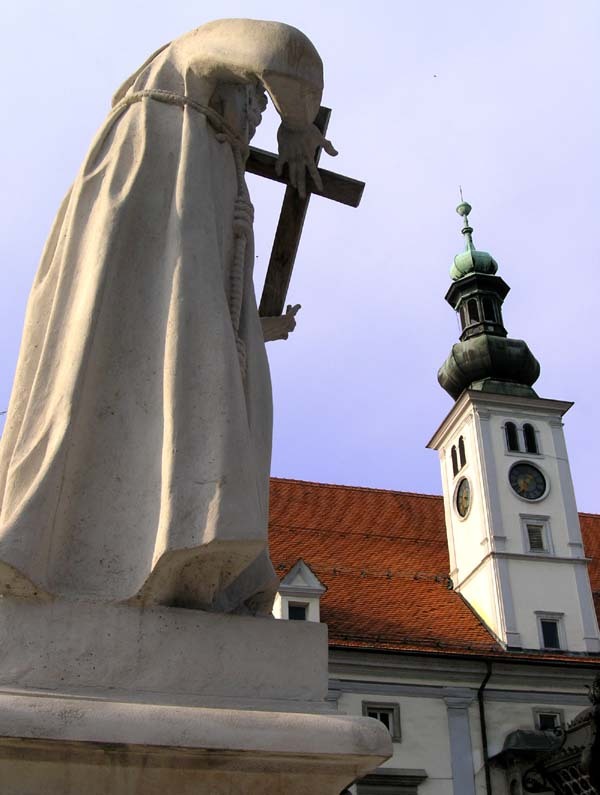 It stands in memory of the devastation caused by the 1680-1681 plague which claimed the lives of approximately one fifth of Maribor’s population. Looks like a charming place to visit. I just know I'm going to be trigger crazy next week when I go to Mexico City. I agree that Mexico City really is a great location with many great photo opportunities. I hope you have a great time! I'll surelly be checking on the results on your blog.